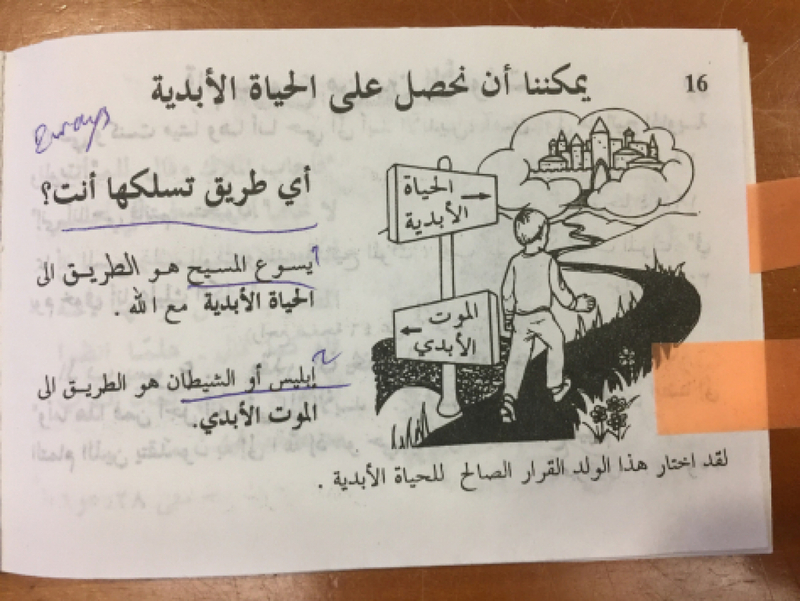 Blog on "Religion, Culture, Society"
Our Researcher Mohammad Magout recently revived his Blog on "Religion, Culture, Society" with a post on "Two Christianities in Two Booklets: Impressions from a Visit to a Swedish Church". He describes and analyses two very different booklets in Arabic language that he both found in Klara Church, Stockholm, earlier this year. "Earlier this year, on a cold January morning, I was walking around in the snowy streets of Stockholm, not sure how to spend the few hours before the departure of my bus on an 18-hour journey to the far north of Sweden, when I came across a big brown church in a side street near the main train station. Being interested in religion, I decided to walk in and have a look in order to get an impression of Swedish churches. because of rivalry with Muslims in the Middle East and whether this rather Orientalist style of art in this church had to do with friendly relations between the Ottoman Empire and Protestants in Europe during the first two centuries of the Reformation. Anyway, Christian art is not the subject of this blog post, but two booklets in Arabic that I picked up from a stand on my out of the church. I am personally interested in “religious marketing”, so whenever I had the chance, I would collect booklets or leaflets that are being distributed on streets or displayed on stands. Later that day, during my 18-hour bus journey, I had the chance to go through them. I was amazed to find out how contrasting, if not contradictory, their messages are, even though they were lying side by side in the same church ..."